I'm still catching up from Celebration V, but I wanted to take a very quick moment to share a few photos (taken by others) from the con. There are a ton more.... and many that I've surely missed, so be sure to check out the Celebration V section of Astromech.net. 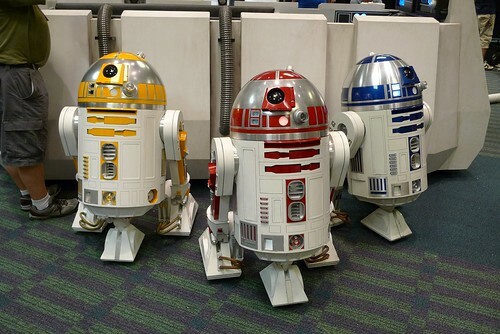 Yellow, Red, and Blue R2 units. Photo by Jeff Barnes. 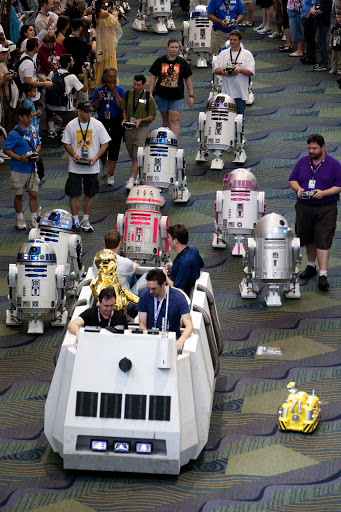 The Rebel Troop Transport leading the droid parade, piloted by Wayne Orr and Dave Everett. Photo by Charlie Dunn.